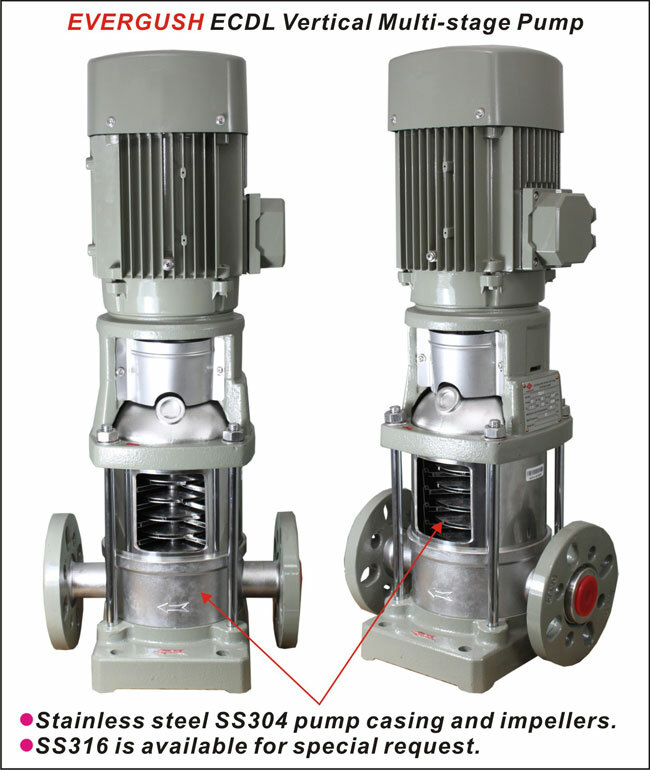 ECDL vertical stainless steel multistage centrifugal pumps applied high quality stainless steel material, and the mechanical seal is made of hard alloy. Long service life, light-corrosion resistance and high efficiency. Therefore, it is suitable for various industries. Lesser space requirement, space-saver. It can also be equipped with related protectors to effectively prevent from dry-running, overheat, out-of-phase and overload circumstances. 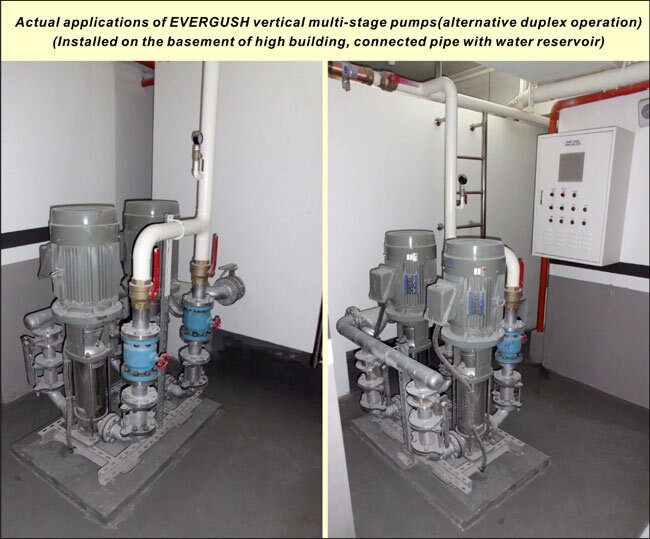 Water supply: Host water supply pipe and booster of multi-storey building. Industrial pressure boosting: Air conditioning and cooling systems.Boiler feed and condensation systems. High pressure rinsing systems. 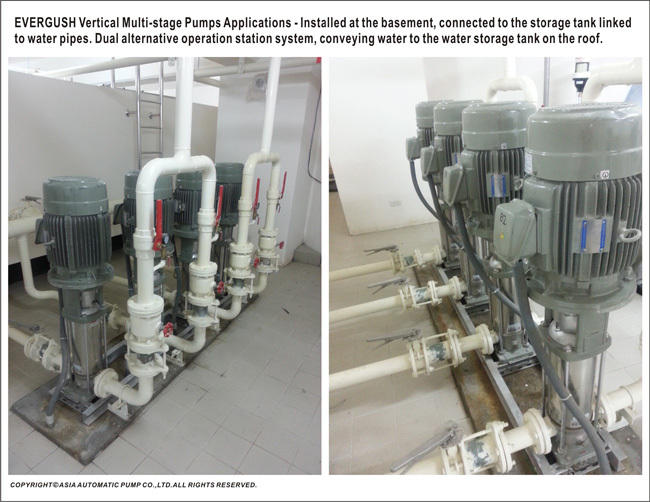 Water treatment: Filters and reverse osmosis systems, distillation systems, separators. Agriculture irrigation: Large area irrigation, spray irrigation. For clean non-flammable and non-explosive liquid, without solid, filamentary and abrasive matter. Liquid temperature: Temperature range: -15℃~+70℃. Max. Working pressure: 25 kg/cm². Remarks: If it is used for brewery, we suggest replacing standard motor to explosion proof motor. Totally enclosed fan cooled 2 pole IEC standard motor.